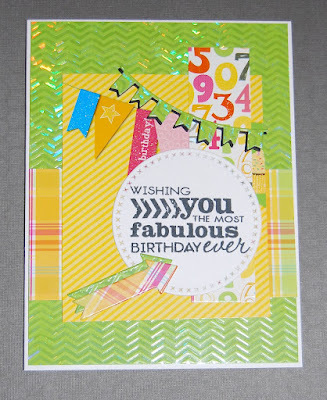 This card stock collection called Birthday Wishes features lots of texture, gloss, and glitter. It was fun to select layers for this month's Verve sketch. I wanted some of the graphics on the yellow panel to show, so I changed the focal shape to a circle, which fit the sentiment (from Better Together) well. Since a lot of the pretty plaid was covered, I layered a couple of arrows cut with a Verve die to fill the blank space and to give the plaid a chance to come forward. 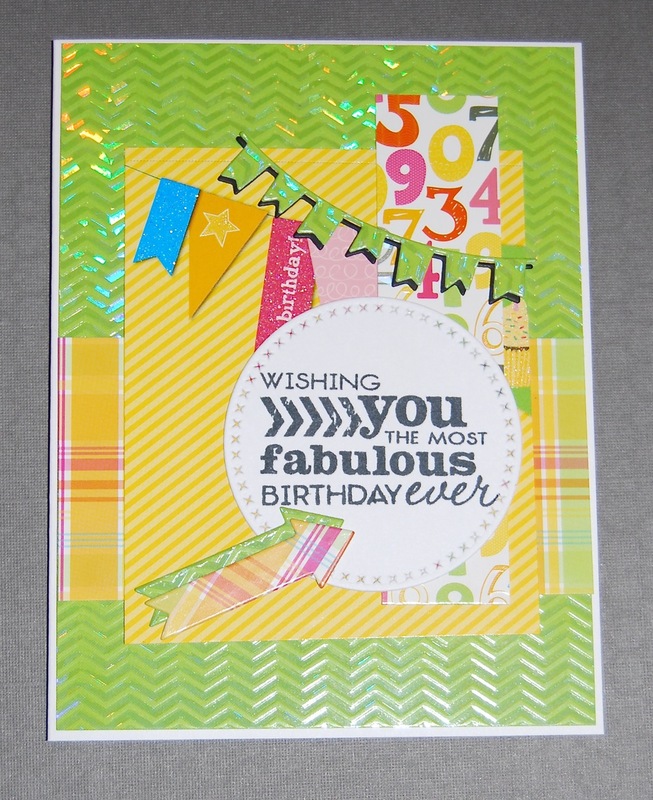 A little time to create a bright, happy card was just what I needed this evening! So thankful for that time. Your card is bright, colorful, fun and awesome. Thanks so much for sharing with us. Have a blessed week. So fresh and festive! Nice take on the sketch! Love the design and colors! Thank you for sharing with us at The PIP Challenges. This one is so bright and beautiful! Love that sweet little banner.